This "BUG" affects the hidden evolution programs. 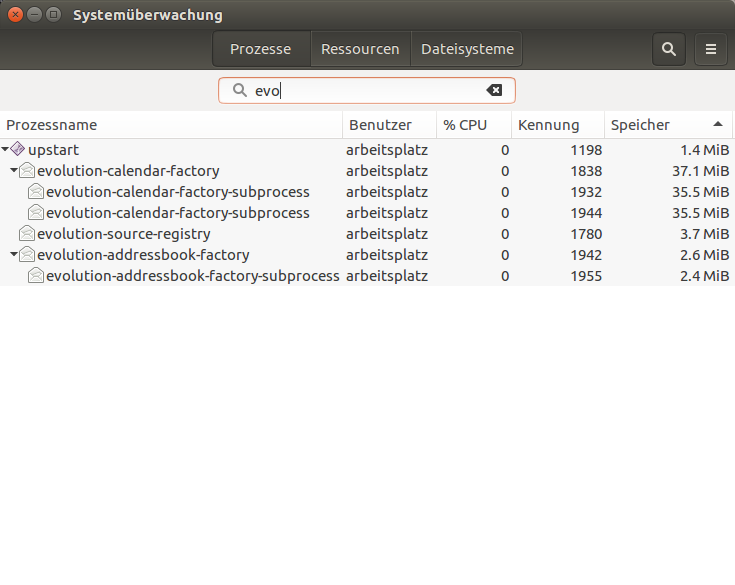 Therfore I captured a screenshot from gnome-system-monitor to show the problem. I don't use evolution and no other kind of calendar or mobile sync programs. So I was wundering why evolution uses 120 MB RAM! If you can solve this RAM-waste the propper way, this would be very appreciated! Please keep in mind than with Ubuntu 14.04 the RAM-waste of evolution was about 40MB.